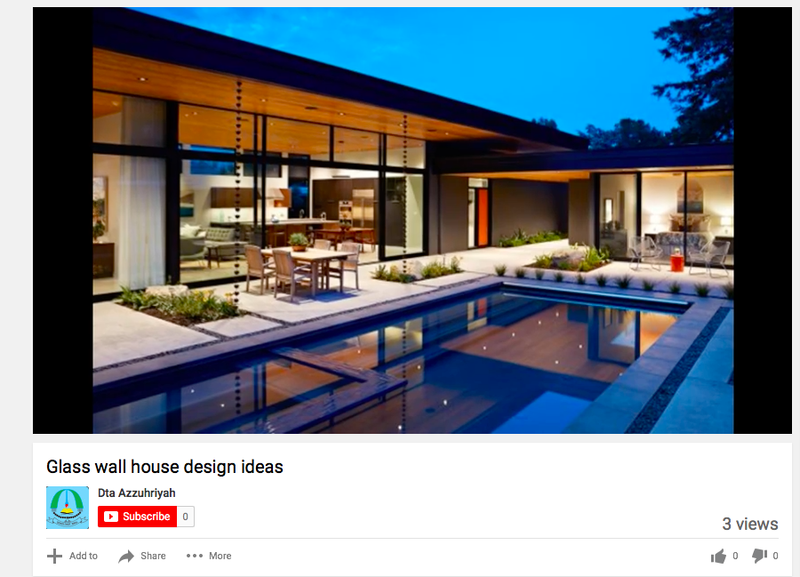 In a video, “Glass wall house design ideas”, 2016. 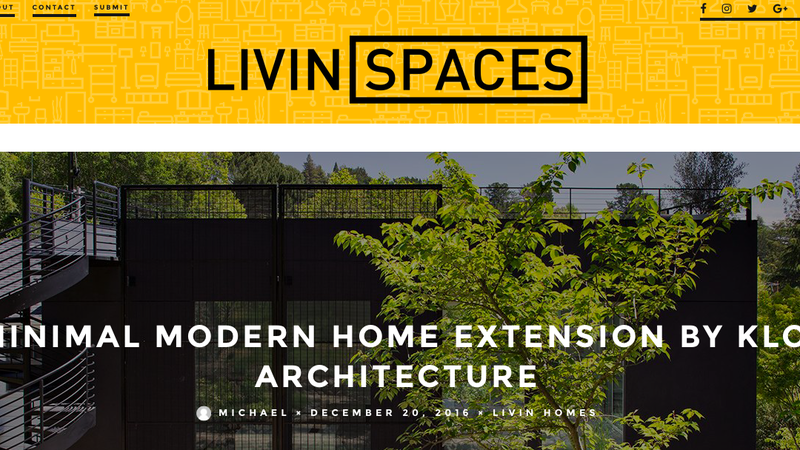 In article, “A Minimal Modern Home Extension by Klopf Architecture”, 2016. 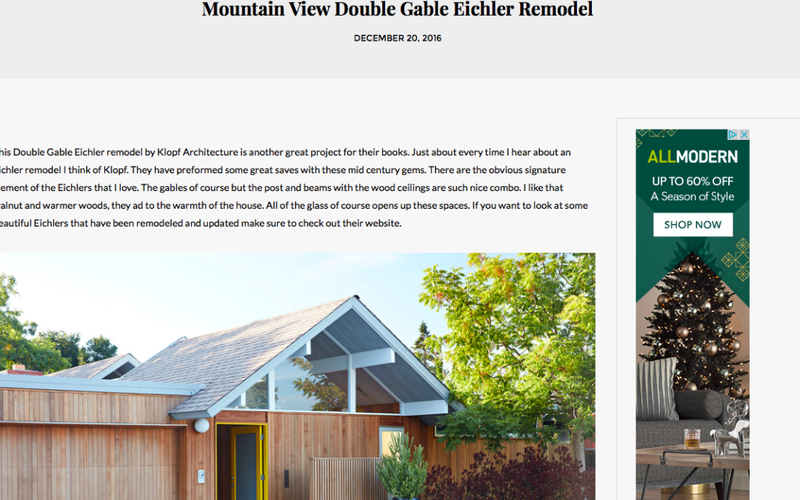 In an article, “Mountain View Double Gable Eichler Remodel”, 2016. 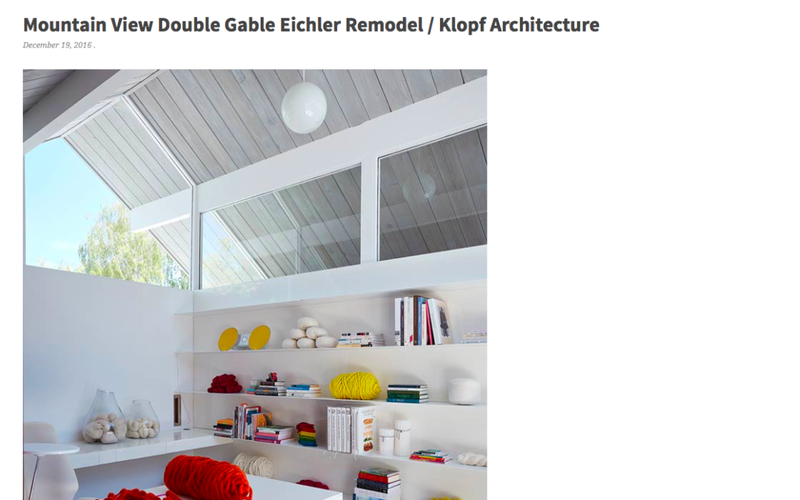 In an article, Mountain View Double Gable Eichler Remodel by Klopf Architecture, 2016. 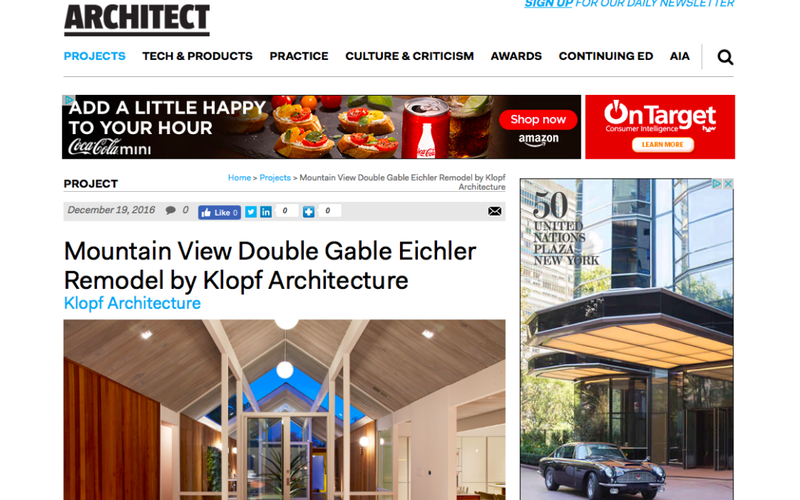 In an article, Mountain View Double Gable Eichler Remodel / Klopf Architecture, 2016.